Our LGV and HGV training schemes help to kick-start your new career. Driving these HGV vehicles for a living offers various benefits that very few careers can propose. If you're starting out in full-time employment, or you're looking for a career change, it really can be the beginning of a highly rewarding profession. Call JSM Driver Training, in London and Edinburgh, to learn more. Becoming a LGV HGV driver has the flexibility, freedom and the generous financial rewards that not many other career paths have to offer. So why not join the growing number of people opting for this career change, for the better, today? Our certified LGV Training & HGV Training Instructors will offer the best practical LGV & HGV driver training to you. 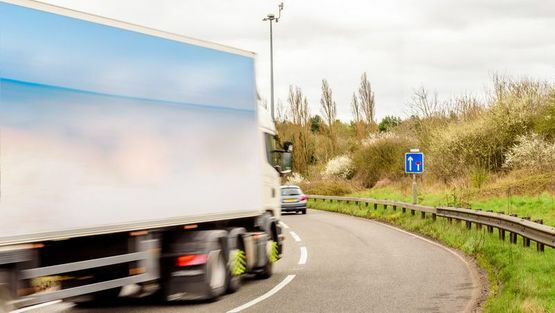 All of our instructors undergo a rigorous teacher training which ensures they are transferring their HGV LGV driving skills to you in the most efficient manner. We ensure that our instructors are fully qualified by passing a teaching ability test. With this you can be confident that the LGV HGV training offered to you will be of the highest standard aiming for a first time pass. If you live in the South of England or in Edinburgh JSM Driver Training is your perfect partner in delivering LGV & HGV Training. We're a leading Driver Training provider of fully accredited LGV & HGV Courses. Wherever you're based, London, Home Counties or in and around Edinburgh, you're perfectly situated, simply and conveniently, to take advantage of our services. Anyone who is at least 18 years old, has a full car licence and wants to embark on a rewarding and flexible career can apply for a HGV Licence. Also known as a 7.5 ton vehicle. You can drive any goods vehicle not exceeding 7.5 ton Maximum Authorised. As with C1 but with a full size trailer with a combined weight not exceeding 12 tons. You need to obtain a C1 first to get this licence. Also known as a Class 1 Licence. You can drive rigid lorries over 3.5 tons. Also known as Class 1 Licence. This is an articulated or drawbar lorry which entitles you to drive a goods lorry with a trailer. To learn more about our LGV and HGV training, contact us, in London and Edinburgh.